Studies show that, for people living with HIV, smoking is more harmful than HIV itself. https://hivireland.ie/wp-content/uploads/logo-300x138.png 0 0 HIV Ireland https://hivireland.ie/wp-content/uploads/logo-300x138.png HIV Ireland2018-05-30 10:17:292018-05-30 12:18:31Studies show that, for people living with HIV, smoking is more harmful than HIV itself. 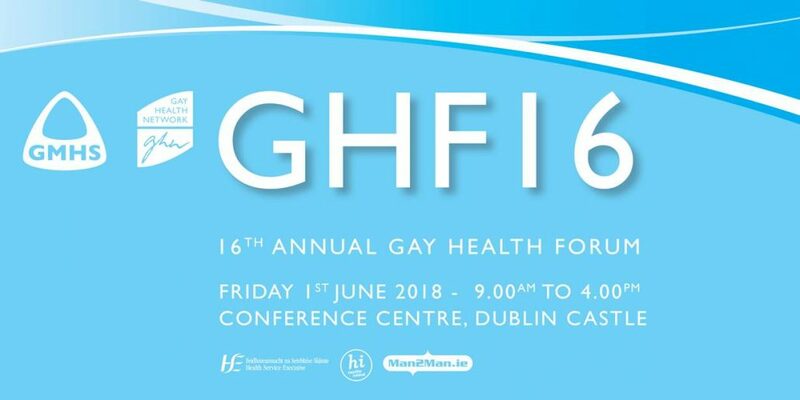 The 16th Annual Gay Health Forum (GHF16) takes place on Friday 1st June 2018 at the Conference Centre, Dublin Castle. This annual conference is organised by the Gay Men’s Health Service, HSE and the Gay Health Network, and is supported by the Department of Health, the HSE National Directorate Health and Wellbeing, the Health Protection Surveillance Centre (HPSC) and the Sexual Health and Crisis Pregnancy Programme. GHF16 presents an opportunity for those involved in HIV, Sexual Health and other health-related work with MSM and LGBT+ people to network, share and acknowledge all our efforts in advancing the health and wellbeing of LGBT+ people. GHF16 is free and there are still some places available. Register to attend.